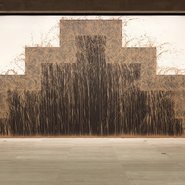 Join the Gallery’s special exhibitions curator Jackie Dunn to hear about the work of English sculptor Richard Long. Note: There have been unforeseen changes to the previously published event. John Freckleton is no longer able to attend and will be replaced by Jackie Dunn. The Gallery apologises for any inconvenience.